NPS Octagon Cafeteria Table - Plywood, Chrome 60x60"
Shown with textured black frame. This mode features a chrome frame finish. These octagon cafeteria tables have a plywood core which makes them extra strong. Octagon cafeteria tables create a cool geometric look in your lunchroom. They are designed for easy setup and low maintenance. A torsion bar system makes it possible for one person to fold or unfold, activating the mechanism from either side. 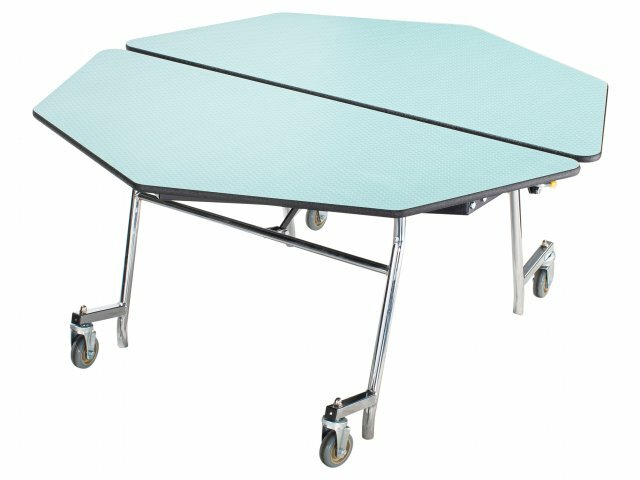 This lunchroom table automatically locks in the open and closed positions, and has a partially-open position lock for easy floor cleaning as well. 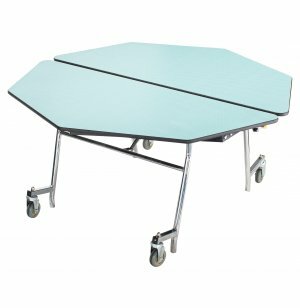 These safe and durable cafeteria tables will serve your students for many years. 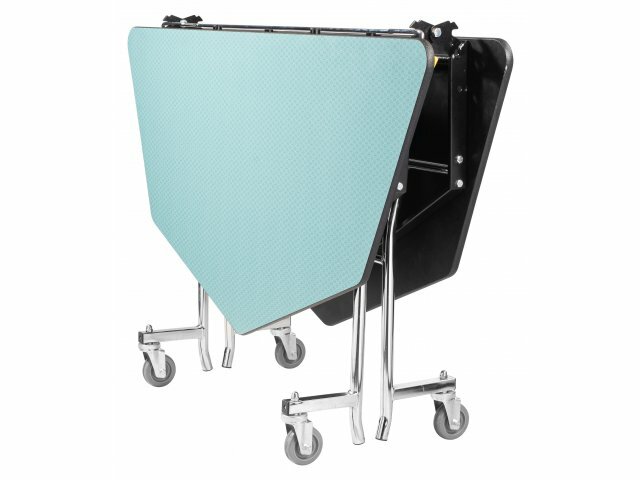 Their heavy-duty casters lift off of the floor to prevent tripping and rolling when the table is in the open position. A phenolic backer and tamper-free hardware maintain the attractive appearance and sturdy build of this table, through spills, bumps and more.